"I am heartily tired of hearing about what Lee is going to do. . ."
The Civil War Preservation Trust is proud to announce a new campaign to save 49 acres at the center of the Wilderness Battlefield. Historian Gordon Rhea says that this new tract at the famed Saunders Field is a property that "witnessed some of the Wilderness' most brutal combat." 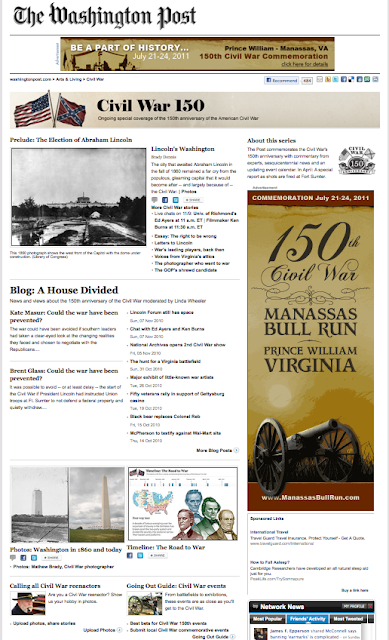 Read all about it, see maps, and get info on The Wilderness then & now by visiting here. At least they didn't put black Confederates on the cover. What an embarrassment. A public school textbook for 4th graders in Virginia published black Confederate mythology as if it were fact, because the author did her research on the internet (Sons of Confederate Veteran websites), and because the review process for Virginia textbooks is apparently fatally flawed. The passage on black Confederates goes so far as to claim two battalions of southern blacks fought under Stonewall Jackson. In defense, the author of the textbook, Joy Masoff—who describes herself as "a fairly respected writer"—said, "It's just one sentence. I don't want to ruffle any feathers. If the historians had contacted me and asked me to take it out, I would have." It's bad enough that neo-Confederates and other alternative history types teach their own children that the Civil War wasn't about slavery—they have a right to misinform their own offspring. But for their revisionist nonsense to make it into a public school textbook is a travesty. Masoff says it's only "one sentence," but it's more than that. One or two sentences like that call the whole book into question. It should be scrutinized cover to cover by competent historians. Up till now, wild-eyed claims about black Confederates were restricted to a relatively small segment of society that is desperate to believe that slavery was not central to the secession crisis, and the war. If blacks fought on behalf of the Confederacy, the thinking goes, then the war must not have been about slavery, and The Cause was glorious after all! Whew, glad we cleared that up. 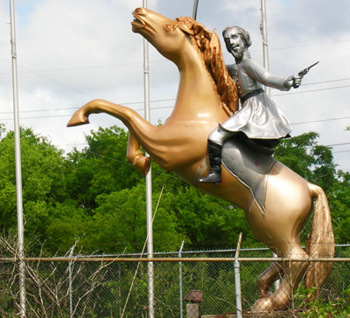 Debunking fairy tales about black Confederates has become something of a hobby for blogger Kevin Levin, and the rest of us are grateful for the public service he performs (now we can just link to some of his essays on the subject and save a lot of typing). But no one thought that stuff would make it into actual textbooks. This is akin to a new drug-resistant staff infection escaping the hospital and taking root in the community. Of course this is the state in which the governor, in explaining why his Confederate History Month proclamation made no mention of slavery, explained that "obviously, it involved slavery. It involved other issues. 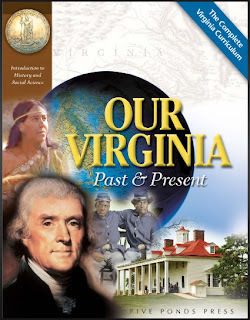 But I focused on the ones I thought were most significant for Virginia." Meaning, slavery was not among the most significant issues. Ironically, that guy on the cover of the 4th grade textbook, Thomas Jefferson, suggested that slavery—which in this country dates to Jamestown—was the rock upon which the country would be split. We let down our guard, and now the problem is spreading. The dumbing down has become institutionalized with outright falsehoods. Maybe I'm overreacting, but minutes before I read the Post article about black Confederates, I listened to audio of Delaware senate candidate Christine O'Donnell scornfully challenging her opponent because he claimed the First Amendment spoke of the separation of church and state. I think she was angling to point out that the phrase "separation of church and state" is not literally written there. All of this to support her contention that people have a "constitutional right" to have Intelligent Design taught in their local public schools. Thanks to a Virginia collector, Tom Liljenquist of McLean, we'll all soon have access to a painstakingly gathered collection of 700 Civil War ambrotypes (glass) and tintypes (metal). Nothing I've read about these images so far indicates whether copies of them might already exist in the LoC or in other major collections, such as the one at Carlisle Barracks, but there's a good chance the majority of them are previously unknown outside of private hands. Mr. Liljenquist generously donated them to the Library for the benefit of us all. 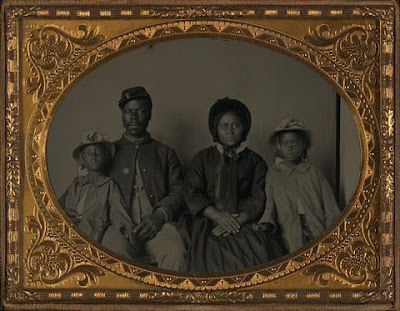 Most of the images are of unnamed Union soldiers, including some rare African American portraits. 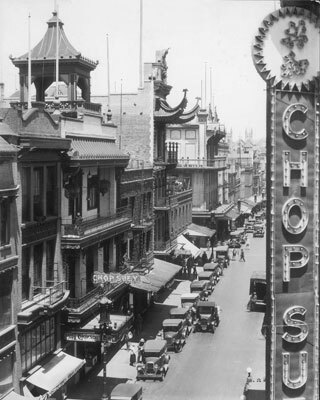 The Library of Congress has already digitized most of them, and made them available online. The news release from the Library of Congress can be read here. 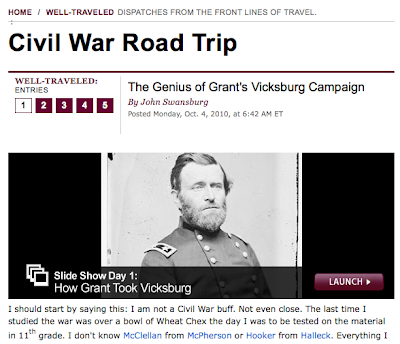 I'm editing this to mention that I just finished reading a much more detailed and interesting blog post by Rea Andrew Redd over at Civil War Librarian. Have a look-see. The Mississippi Delta was shining like a National guitar. . . I love reading dispatches from the road from people eager to learn something new and fresh about our nation's history. Thanks to Ethan Refuse over at Civil Warriors for highlighting this series. I read Slate pretty regularly, but somehow skipped over these travel entries. The author, John Swansburg, is a non-Civil War buff who offers the disclaimer, "The last time I studied the war was over a bowl of Wheat Chex the day I was to be tested on the material in 11th grade." He and three friends embarked on a 10-day road trip from New Orleans to New York, taking in as many Civil War points of interest as they can fit in. The narrative is breezy, and chock full of hyperlinks for your surfing pleasure. The Confederates had a Submarine? A round of golf, followed by simulated horror & carnage, topped off by a catered dinner. See you in Paradise! Long-time readers of this blog—both of you—know of my somewhat mixed feelings about the kind of "living history" that endeavors to re-enact terrible scenes of combat, as if dressing up and taking fake "hits" in a field somehow presents the actor or onlookers with a special insight into the unspeakable horror and shock of bodies being torn asunder in a nightmarish hail of shrapnel and lead, destroying lives and wrecking families in the moment and for generations to come. There is definitely something to be said for seeing authentic uniforms and weaponry, and being able to visualize army-sized masses of men arrayed against each other, but Hollywood, in movies like Glory and Cold Mountain, does a better job—both in scale, and in special effects. I'm not going to (directly) question a re-enactor's stated motivations about honoring the fighting man of the Civil War, but another time-worn rationalization—doing it to teach the children—frequently falls flat when you read a re-enactor's comments in a newspaper article, explaining to rapt second graders that slavery was incidental to the Civil War. There's the rub. Many re-enactors—including many I have known—are arguably experts on the Civil War era, but there's no quality control. Any nitwit with a wool uniform and a kepi can get invited to address a group of school children. He must know a lot about the Civil War, right? He's got a damn uniform. See my earlier diatribe on this subject, "Claude of the Turbervilles." In part, I feel like there's something fundamentally disrespectful to all the soldiers who couldn't get up and walk away, or who were maimed and traumatized for life. Ultimately, of course, it's none of my business why people re-enact as a hobby. For me, it's enough to visit the battlefields, and read books. Certainly I have my own peculiar interests and hobbies which others would deem a waste of time and money. My teenage son often goes "Airsofting" with a bunch of like-minded enthusiasts in the Santa Cruz Mountains. It's a more sophisticated version of paint-balling (at least in terms of the authenticity of the weapons), in which groups of weekend warriors in camouflage square off over a large field in games of Capture the Flag, and whatnot. But they don't try to dress up the experience with talk of living history, or claim to be trying to understand what a soldier endures. They're playing army, getting exercise, testing their stealthiness, and having fun. My friends and I played our own version of it in the bottoms of the Boyer River in Western Iowa, but we used BB guns, shop goggles, and trench coats to cover as much skin as possible (I can say this publicly now that my mother is no longer alive). We didn't have any grandiose notions about why were were doing it. Still, as I said, I'm inclined to give many Civil War re-enactors the benefit of the doubt (in a way that I don't extend to Nazi re-enactors in Ohio). And I do admire their dedication, and willingness to go whole hog. I think the folks up in Paradise, California have the right idea. They're funding living history education with the proceeds of some golf tournaments, and staging reenactments on the driving range. Pancakes in the morning, and catered dinner at night. That's my kind of war. One little quibble, though. Take a closer look at those Zouves in the promotional photo above. I've zoomed in on them here. They didn't have any 400-pound Zouves in the Union army. I'm sure the hobby, of necessity, is open to all comers, but I have trouble suspending my disbelief when I see soldiers who look like NFL offensive linemen. At what point does the painfully exacting authenticity of uniform buttons and weaponry take a backseat to overall appearance? "You see my button is an exact replica, soaked in urine to get the proper sheen, but please disregard the fact that you could make a weather balloon from the expanse of my pants." This brings to mind the Turner movie, "Gettysburg" when, in the opening minutes, a spy encounters Confederate pickets and is challenged by one ragged Confederate private who just happens to be morbidly obese. I'm not saying the guy shouldn't be able to enjoy his hobby, it's all make-believe anyway. I myself am dangerously overweight. But what happened to the process of "casting" for a major motion picture? This last digression brings to mind a compelling bit of commentary on how Civil War reenactments are still not handicap accessible for differently abled soldiers. If not now, when? 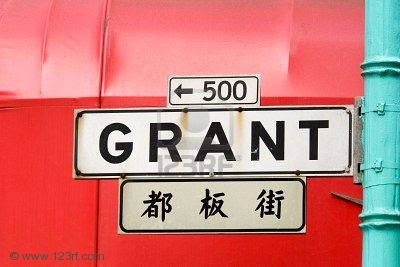 My way or the Hihgway. . . 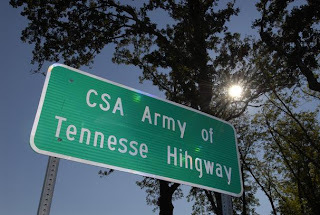 The informational sign posted last week on U.S. 27 near the Chickamauga Battlefield says: "Army of Tennesse Hihgway." Both "Tennessee" and "Highway" are misspelled. Chickamauga City Manager John Culpepper told the Chattanooga Times Free Press "they can't spell down at the Georgia Department of Transportation." GDOT spokesman Mohamed Arafa said there are sometimes mistakes with names "but Tennessee, there's no excuse for that." He also said the department "used to be the Department of Highway." 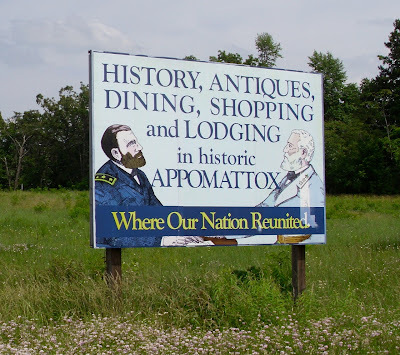 Today's 148th anniversary of the Battle of Antietam comes just days after the passing of Joseph Harsh, whose work on the Maryland Campaign of 1862 will remain required reading for a long time to come. 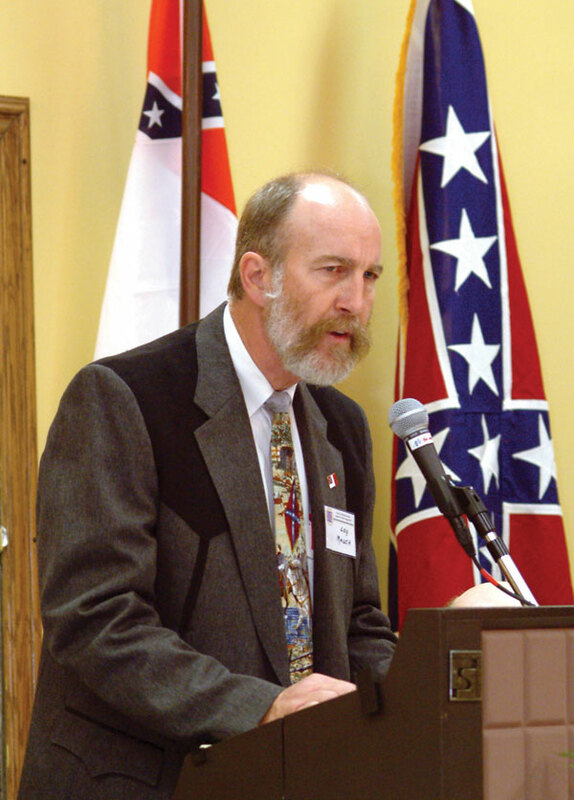 Tom Clemens, co-founder of Save Historic Antietam Foundation, was a protégé of Dr. Harsh and is an important Antietam historian in his own right. He has written a moving tribute to his mentor, the former chair of the history department at George Mason University. 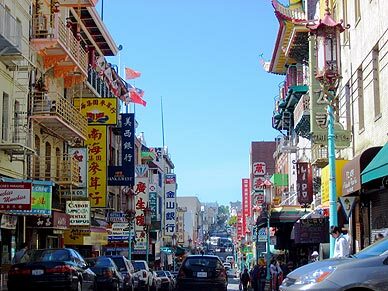 If you'll be in the vicinity of America's most beautiful city in November, put some time aside for the 26th West Coast Civil War Conference (Nov. 12, 13, 14). 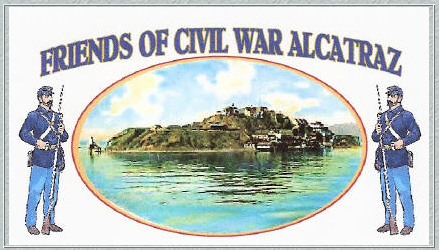 This meeting is hosted by a different Civil War Round Table or other Civil War-related group each year, and this marks only the second time it's been held in San Francisco. 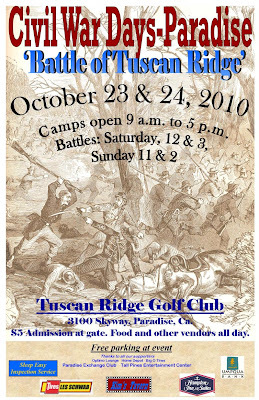 The first time was about 20 years ago, hosted by the South Bay CWRT. This year, the Friends of Civil War Alcatraz have put together what looks to be a spectacular program on the theme of Civil War Coastal Defenses, and have enlisted James McPherson and Craig Symonds as headliners. NPS ranger Rick Hatcher, who's written on Sumter and Moultrie, and the CSS Hunley, will also be on hand. 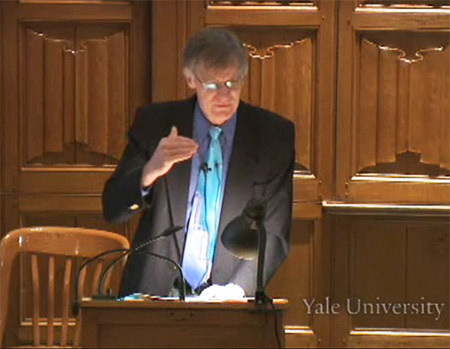 I'm probably most excited about hearing historian John Martini, and not because that's my favorite cocktail. 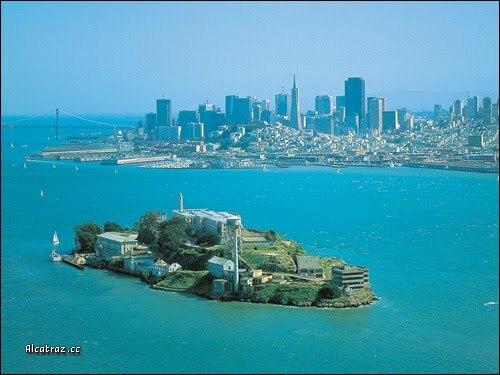 Martini's work on local installations is indispensable—at present I am reading his book on Fortress Alcatraz. 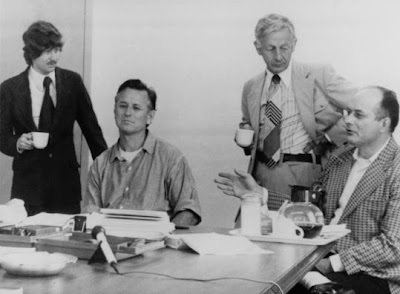 He is the guy who discovered the lost Alcatraz photos mentioned in some earlier blog posts. This is going to be a fun one. The conference is based at the War Memorial building near City Hall, and outings are planned for Fort Point, Alcatraz, Fort Mason, and other sites in the city. Slavery was ended. The nation would not again see such a divisive trial until the Ground Zero Mosque War of 2010, when law-abiding American Muslims proposed building a cultural center in an old Burlington Coat Factory building. "We don't want to kill you all in one day!" The partial quote at top is attributed to the Modoc Chief Scarfaced Charley. Last Monday I asked my faithful reader(s) what three particular Civil War generals had in common. I posted a link on Facebook, where one well-versed individual came up with the answer after I narrowed it down with a comment about Indian Wars. The answer is that Generals Wright, Howe, and Thomas all had a son or nephew killed on April 26, 1873, during the Modoc War (though General Wright preceded his son in death, having drowned in 1865 while en route to his new command). Man-for-man, the Modoc War was among the costliest ever engaged in by the United States. 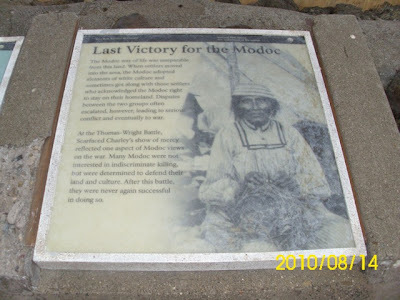 As many as 600 troops (at highest count) did battle with roughly 50 Modoc warriors for six months. Official tallies put U.S. casualties at 53 soldiers and 17 civilians, while the Modoc lost 15 (five KIA). The resources, human and otherwise, expended on subduing this one band of Modoc was considerable. Several essential Modoc War sites, including Captain Jack's Stronghold and the Thomas-Wright battlefield, are preserved today at Lava Beds National Historic Site, an off-the-beaten-track gem in Northeastern California, just below the Oregon border. 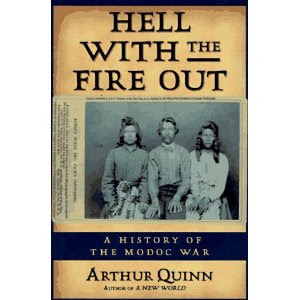 There are a couple of good books on the subject, including Hell with the Fire Out, A History of the Modoc War, by Arthur Quinn. And, as pointed out earlier, I enthusiastically recommend The Modoc War, Its Military History and Topography, by Erwin M. Thompson. 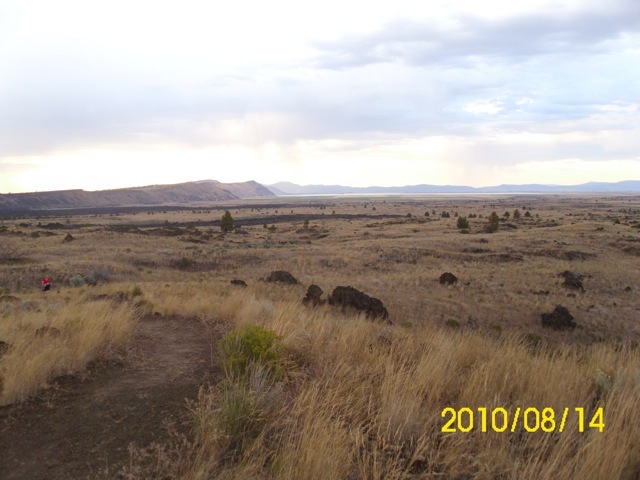 Hell with the fire out is an apt description of the weather and the topography—it is high desert, and largely covered with ancient lava flows. Though the First and Second Battle of the Stronghold failed to dislodge the Modoc from Captain Jack's lava fortress, the Indians were eventually compelled to withdraw, which they did unseen. 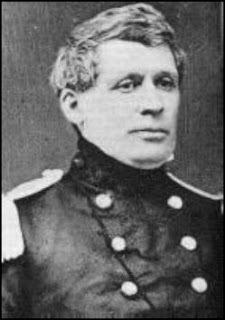 Uncertain of the Modoc positions, and hoping to be able to move howitzers and mortars to a strategic butte four miles from the main army encampment, Colonel Alvan Gillem called upon Captain Evan Thomas of the 4th Artillery to lead a patrol toward Sand Butte (now Hardin Butte). Like his father, Thomas was a veteran of the Civil War, brevetted for gallantry for actions at both Fredericksburg and Gettysburg, but fighting Indians was not something for which he had must experience. The other generals' kin, likewise veterans of the Civil War, were First Lieutenants Thomas F. Wright (son of George Wright), and Albion Howe [nephew of Albion Parris Howe). Three more commissioned officers joined the patrol, 2nd Lieutenant George M. Harris, 1st Lieutenant Arthur Cranston, and Dr. Barnard A. Semig. In addition to a guide and civilian packer, Thomas's patrol comprised 59 enlisted men (Company E, 12th Infantry, and Batteries A and K—the latter serving as infantrymen—of the 4th Artillery). The patrol was handled carelessly from the start, and little attention was given to guarding the flanks during a march through areas of jumbled rocks, deep cuts, and low ridges that limited lines of sight. 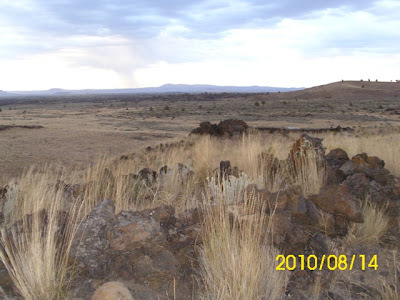 This allowed Modoc warriors to trail the soldiers and effectively surround them when they stopped for a midday meal. The Modoc warriors—well-armed, and by all accounts skilled riflemen—attacked seemingly from all directions, and military order among the soldiers quickly dissipated as some men scattered and others sought protection in small groups. The gunfire could be heard back at Gillem's Camp, and in the now-occupied Stronghold, but relief parties started too late and were compelled to wait for dawn before they could locate survivors. Thomas, Wright, and Howe were dead, Thomas shot four times, and Wright three. The position of many soldiers' bodies signaled the shock of their last tragic hours. A member of a relief party described them as lying in "different forms of anguish and distortion, some in the position of desperate defense, others prostrate. . .in utter helplessness." Most had multiple bullet wounds, and many were stripped of their uniforms. Second Lieutenant Harris was mortally wounded, and Cranston was missing. Twenty enlisted men were killed in action, and sixteen were wounded. Out of sixty-seven men in the patrol, at least 43 were casualties. 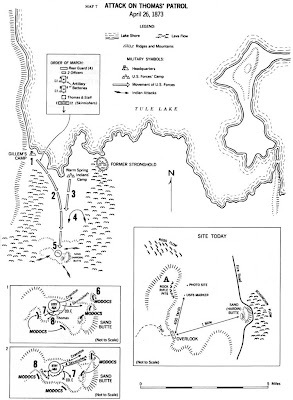 The army later claimed to find the bodies of five warriors on the Thomas-Wright battlefield, but the Modocs themselves, after the war, claimed to lose only one man in the fight. The battlefield today, with Hardin Butte (Sand Butte) in the distance. 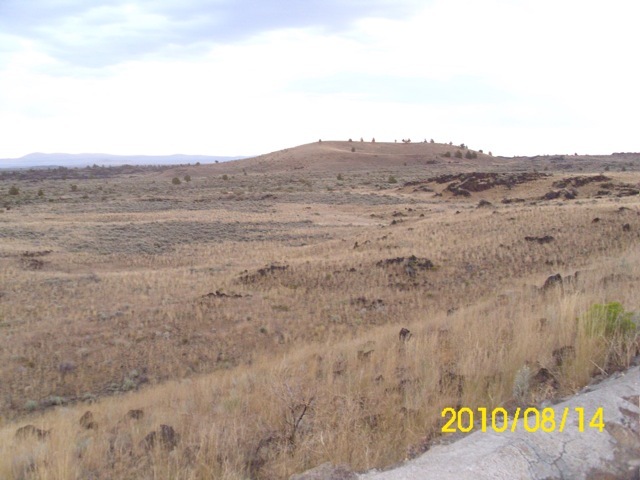 Looking from the Thomas-Wright battlefield back toward Gillem's Camp,which was at the base of the highest point of the ridge on the left, on the shore of Tule Lake. This was Thomas's line of march. It has been proposed that the reason the Modoc had murdered General Canby during peace negotiations, two weeks earlier, was the belief that by striking a devastating blow against the top leadership of the soldiers, the rank and file would abandon the effort to subdue the Indians in the Stronghold (a plan that might have borne fruit against other tribes). If so, it was a grave miscalculation. Indeed, we know that Canby's assassination, and the stunning defeat of Thomas's command, simply meant that far more troops would come, and would continue to come. Captain Jack and the Modoc leaders who pressured him against his judgment to kill the sympathetic Canby, could never have anticipated the resolve of the white warrior then en route to take Canby's place, Jefferson C. Davis. 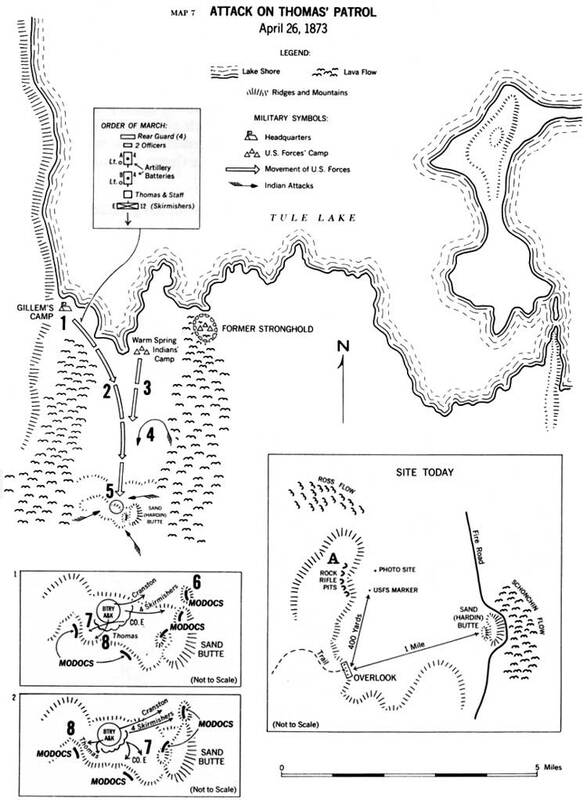 Map from Erwin N. Thompson's, The Modoc War, Its Military History and Topography. This book was available for online viewing at the Lava Beds NHS website, but does not appear to be at present]. Hat tip to Civil War Librarian for this update: Museum of the Confederacy Offers Online High Res Digital Images of its Collection. This is another reason why history majors love computers (it's not true that they love computers just because they can't get dates). Slowly but surely, everything is coming online. 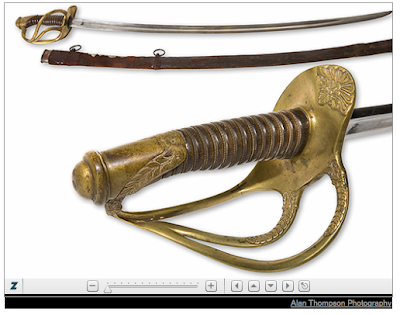 Jeb Stuart's saber? Yes, amigo. Zoom in—you can't get that close if you visit it in person, though you should do that too, when you get the opportunity. What do these three Civil War generals have in common? Monday Morning Trivia. . . Obviously we could make all kinds of tenuous connections between various Civil War generals, but I'm looking for something fairly significant shared by these three Union officers. What's significant, you ask? I'll be the judge of that. George Wright (left) is the other General Wright, the one who spent the entire war on the West Coast. He was an 1822 graduate of West Point, and decorated veteran of the Seminole and Mexican wars. 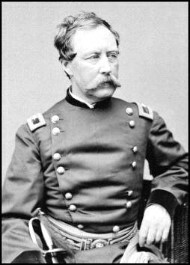 By 1855 he was colonel of the 9th Infantry in the Far West, where he saw combat in various battles with Native Americans (e.g., the Yakima War). 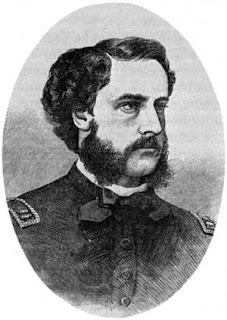 When the Civil War came, Wright commanded districts and departments before settling in as commander of the Department of the Pacific, freeing up E. V. Sumner for a return east. 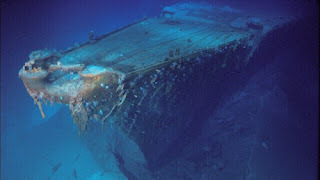 Tragically, Wright and his wife drowned at sea on July 30, 1865, in the wreck of the Brother Jonathan, the steamer transporting him to his new command, the freshly-minted Department of the Columbia. He was 63-years-old. Albion Parris Howe (left) was an 1841 graduate of West Point, served with distinction in Mexico, and was under Robert E. Lee's command during the John Brown episode in Harpers Ferry. After the Civil War began, he commanded a brigade in the Seven Days Battles. For actions at Malvern Hill he was brevetted major, and in time was promoted to brigadier general. He commanded a division at Frederickburg and Chancellorsville, but saw little or no action at Gettysburg. Soon after the Mine Run Campaign, Howe was removed from command of his division, likely due to poor relations with Sedgwick, his corps commander (Howe testified in an unflattering way about Sedgwick to the Committee on the Conduct of the War). 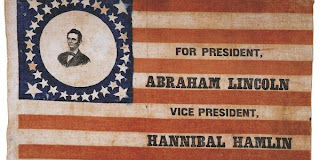 After the war he served with the commission that tried the Lincoln conspirators. He died in 1897 at age 78. Lorenzo Thomas graduated from West Point in 1823, and served in the 4th artillery during the war with Mexico. For the eight years prior to the Civil War, he was chief of staff to General Winfield Scott. He was promoted to brigadier general during the Civil War, and served as adjutant general of the army throughout the war and beyond, until he retired in 1869. 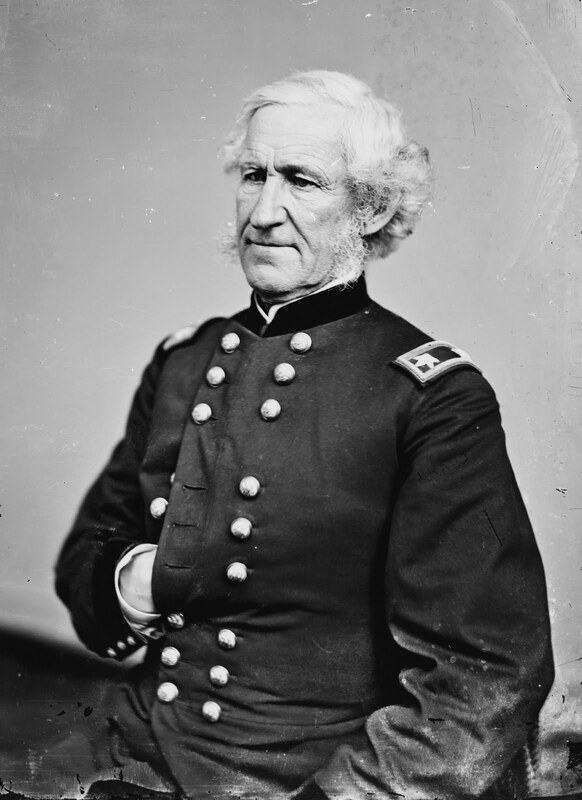 He was brevetted a major general in the regular army in early 1865, and after the war may be best remembered as the person President Johnson tried to replace Stanton with as Secretary of War. Thomas died in 1876 at age 70. I just became aware of this essay by Professor David Blight in the online version of the Fredericksburg, Virginia Free Lance-Star. 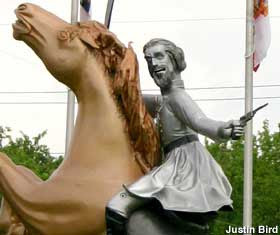 It appears to be from a series entitled, "The Myths of Gray: What Gives the Confederacy its Staying Power?" 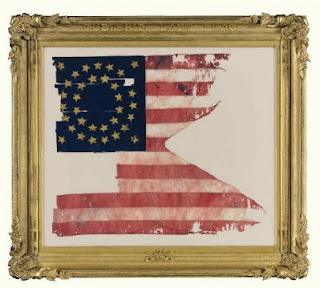 Blight's installment is in response to Virginia Governor McDonnell's ill-considered decision to resurrect Confederate History Month. 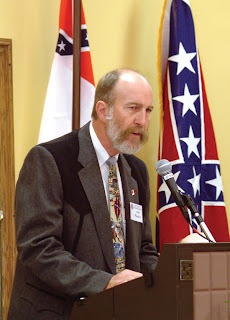 "The best way to understand why secession and war came in 1860-61 is to look at what white Southerners themselves said they were doing. How did the leaders of secession explain the origins of the war?" This is a point I always try to make to people who have settled upon a notion of secession involving mysterious state rights that are somehow unrelated to slavery. The architects of secession, the Confederate leadership itself, made no bones about it. 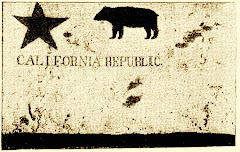 They were unabashed in stating the reasons for secession. It was only after the war that it became uncomfortable to blame unspeakable carnage and suffering on such an ignoble cause. How could any vanquished people heal or reconcile staggering losses in the wake of a rash war to perpetuate slavery? No, it had to be prettied up. Thus, a war for the independence to keep men enslaved was transformed into a war for "liberty" from tyranny. The essay series title asks how such misguided notions about the war endure for so long. It's no mystery, really. Even in today's Age of Information we hear of sizable percentages of the population who believe—against all evidence—that President Obama is a Muslim born in Kenya. Lost Cause mythology endures because the purveyors of it—here is one blogger's reply to Blight—will not read the widely available primary source material that destroys their fantasy. Nor do they read the best scholarship available on the topic, things like The Apostles of Disunion, which unequivocally spells out the motivations behind secession. They "pass down" family history, sanitized for your protection. Instead of wasting time trying to rewrite history, and feeding misinformation to their children, the Moonlight & Magnolias crowd should consider constructing an honest rationale for honoring their ancestors. You can honor the man without honoring the cause, and without trying them in the court of modern opinion. Those brave men don't need your feeble excuses for their behavior. They fought for what they believed, or they fought because they were compelled to for other reasons. They don't need you to cover for them. Like Mosby said, "a soldier fights for his country, the South was my country." Do the descendants of Henry the VIII try to rationalize his bloody record at the wedding altar? Do Andrew Jackson's descendants create elaborate alternate histories about tears of joy on the Trail of Tears? "They weren't crying, son, they were happy to get out of Georgia." A great many Americans, myself included, have ancestors who killed Indians. Probably indiscriminately. Probably with relish. We don't honor them because of the prevailing attitude toward Native Americans in centuries past. We honor them because they are our ancestors, and because they were brave pioneers in a new world—even the scoundrels among them.